This is a well known children’s song from the 19th century. It is in the Roud Folk Song Index as number 2649. It’s been collected in various parts of England and Ireland. When sung in Northern Ireland it’s known as “The Belle of Belfast City.” There is a game associated with this song. Children form a ring by joining hands while one child stands in the middle. 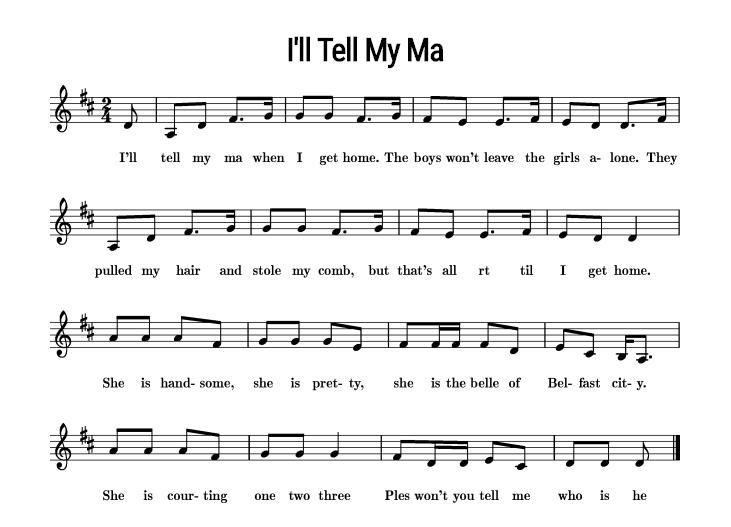 When asked “Please tell me who they be?” The child in the middle gives the name or initials of a child in the ring and after the rest of the lyrics are sung the named child goes in the middle.